The legendary and unpredictable Sosn, which was dominated by the "five" BMW. Sosnová, is a legendary concept among competitors but for drifters it is such a Czech Mecca Drift. 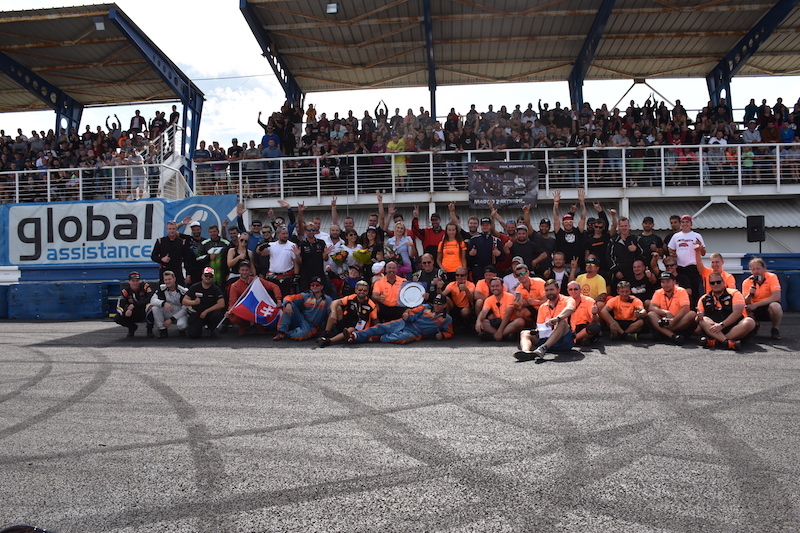 This was once again confirmed by the fact that this Českolipsko circuit hosted the 5th Driftchallenge Semi-Pro and Pro Drift Challenge, including the embedded Mini Rider Street Rider. On Friday afternoon, depot woke up to the colors of all teams, and there were about 50 racing machines staying temporarily here. This promised a constant dose of scent of burned gums, roaring engines and unforgettable moments. And that was confirmed on Friday afternoon when free training started. The jury and organizer of the race, as is customary for the riders, prepared the track according to the riders' responses to excellent and so they enjoyed all the trainings. The evening after their ending in the deck was a relaxed atmosphere, and everyone was looking forward to Saturday when the real race started. Saturday morning until the afternoon was devoted to another batch of trainings and drift taxi, which the audience used abundantly. Four street riders could also enter the race to the organizer's wild card to fight in the battlefields and advance to the SemiPro 2019. Unfortunately, the training also brought some carambola, which are very attractive to the spectators, but the team is giving it worry. One of the biggest ones was Martin Mašek, who sent his BMW E34 Turbo to the front and seemed to be over. There was nothing good before the qualification and the extensive damage. His NightGarage team, however, did not give up and immediately "screwed" as Martin said in an interview for the audience. What we know, the car was operational sometime around 5:00 in the morning. Not in vain is the name of the team what it is. Up until the afternoon, the STREET riders first entered. The best one was Jan Mičulka. Afterwards, SemiPro riders took the lead, where the increasing quality of rides and techniques was known. The best was finally Mr. David Mrlin, ahead of Filip Vimpel and Jan Hejda. In the PRO category, only part of the ride was done, because Michal Raichert and Daniel Janota and also Martin Masek entered the race at the last minute after all the riders agreed to the race, which had time to repair their car. On Saturday night, however, he did not know who would go exactly, but it was clear that the TOP16 would bring a wonderful battle. Sunday morning is always a little more nervous, not only because of the bigger number of viewers on the stands and the depot, but mainly because it is the most important one. Immediately at 10:00 in the morning, they had the opportunity to go to their qualification three "behind-the-clocks" from the PRO category. All of them succeeded, even Michal Raichert finished overall in 3rd place and could build a final spider. After that they left their Streets, where the best was Jan Mičulka. Nothing has prevented SemiPro from starting too. TOP32 started, when there were several repetitions in the races, with Maik Elbert (DE), Dominik Kouba, Lukáš Bubeníček and David Mrlina in the end. Lukáš is the band's Benjamín this season, but he did not get embarrassed and eventually all with his long, big "five-car" BMW defeated. He fought against even stronger cars. Dominik Kouba finished second and David Mrlin won third place. After the Battle Street and SemiPro ended, there was a pause, riders' autographs and favorite performances of all riders. As a surprise, Olga Lounová and the whole drifter family thanked Aleš Síla for the huge contribution to the Czech drift. It really deserves great respect. In the afternoon, they took on the "Professionals" track, who had just watched their colleagues from other categories. They practiced mainly in battle, which was most appreciated by spectators, and the riders could get to know the ride of their rivals. But then everything started waiting for the whole weekend. All of the TOP16 racers were ranked according to the spider pairs and the race could start. Sadly, Daniel Janota did not start, as he also crashed in Sunday's training and damaged the electric wiring of his car. The races in the TOP16 were also spiced up by another carambola when Jakub Krygier (PL) hit the wall in his "Lead run" and threw David Levička into the "chaser" trajectory of what they were protecting the barriers, and he could not do anything and hit them. It was a great shame, because David had run for the first time since the start of the season with his new engine without any technical problems, performing well all weekend, which confirmed 7th place in qualifying. The accident was unfortunately the end for him. Although the battle was won, thanks to the previous ride, but despite the fact that the DF Performance team was repairing the team, it was not safe to continue, which confirmed the test drive when the car was quite unstable. Ultimately, the strongest riders took down the top4. Michal Raichert, Marco Zakouřil, David Mourek and Martin Masek, who literally resurrected his machine. The toughest battle of this quadruple was Marco and Michal's duel, when the gap between the cars was centimeters, and everyone in the tribune was just thundering. The fastest, most accurate and best was Martin Masek, who passed through David Mourka, who was struggling with a damaged differential and finally finished fourth. 3rd place was raced by Michal Raichert as well as in qualifying and the other was Marco Zakouřil, who had to replace his BMW M5 with a brand new BMW M2 before the final battle, which he exhibited in the depot only because he drove her to the ferry in the week, will race and represent the Czech Republic in Japan in November. 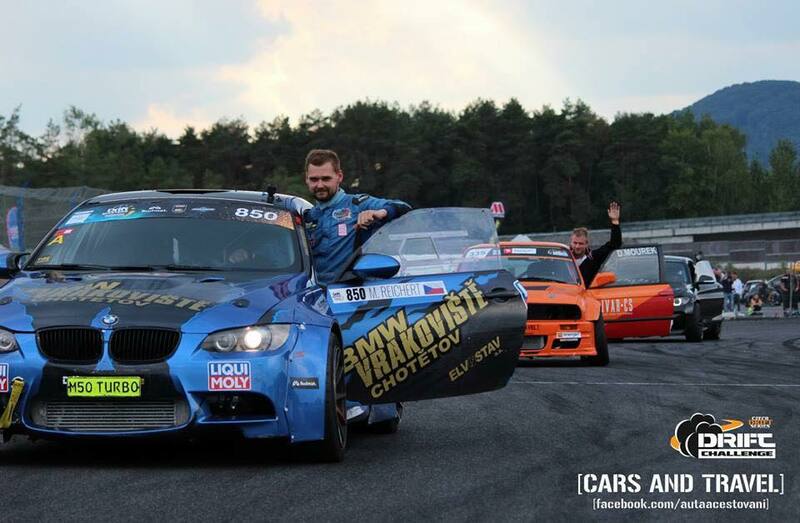 It was known that the car works perfectly, but to sit all weekend from a 5-meter-long car to a shorter, faster one, it's not even easy for the GEOS Drift Team Master, and it helped a bit Martin and his "five-wheeled" BMW to the overall first place. So, by the end of the race, it was not clear how it was going to happen, and the spectators on the stands could not regret the fact that they had come to see the races. It was literally breathtaking. 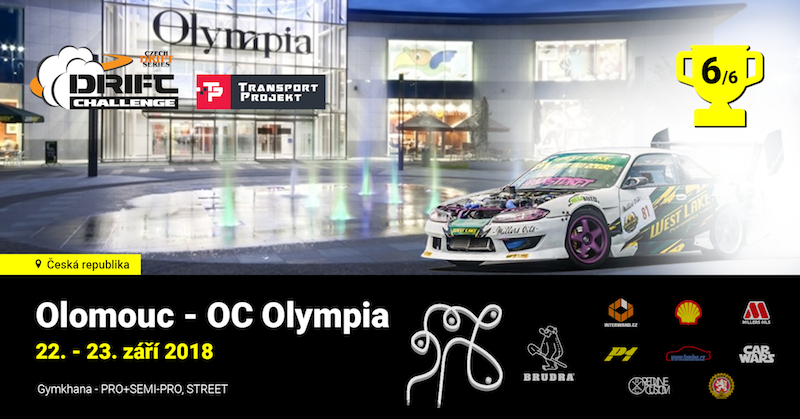 Now we are waiting for a "quieter" race, this time Finálový and the Transport Project Gymkhana in Olomouc at the Olympia shopping center, which will be run as dual. We will go for the first time in Olomouc and look forward to it. Drift well and soon to see.